Baby is beautiful and young freckled beauty with a gorgeous face and body shapes. Her skin is simply amazing and it has a hue that conforms with any render setting and lighting. 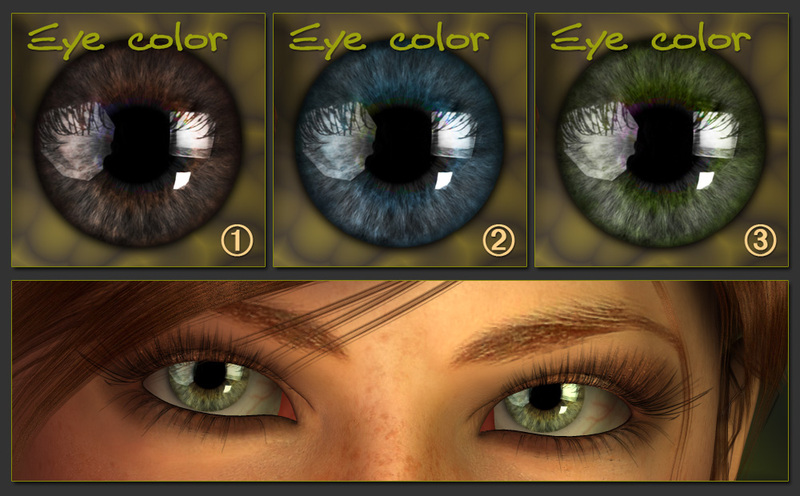 A gorgeous set of make up and eye colors, plus 3 beautiful second skin mats created by Connie Long from Black Diamond Fantasy (thank you Connie) created especially for Baby V4. ** e-Frontier Poser 5, 6 and 7 ONLY - This product may work on Poser 4 or Poser PP, however it has not being tested. ** Package designed for Windows and Mac applications Run the provided installer. I LOVE THIS CHARACTER!!! her skin is so VERY detailed! I can ..